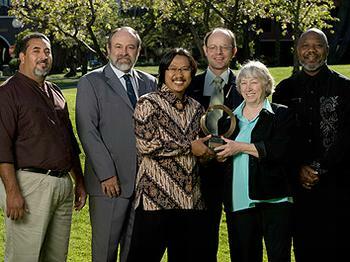 SAN FRANCISCO, California, April 11, 2011 (ENS) – The Goldman Environmental Foundation today announced the six recipients of the 2011 Goldman Environmental Prize – a group of grassroots leaders who are taking on tough challenges to protect the environment and their communities, often at great personal risk. The 2011 Goldman Prize recipients come from El Salvador, Germany, Indonesia, Russia, the United States and Zimbabwe and their work is as diverse as their homelands. One awardee dodges assassination attempts in his struggle against a huge gold mine that threatens El Salvador’s precious fresh water. Another is fighting for environmental justice in a forgotten African-American community in Texas. A third is saving endangered rhinos in Zimbabwe, while another is working for clean drinking water in Indonesia. A fifth awardee is protecting Russia’s Far East from the impacts of oil and gas development, while in Germany a recipient was recognized for creating her country’s first cooperatively-owned renewable power company. The Goldman Environmental Prize, now in its 22nd year, is the largest award of its kind with an individual cash prize of $150,000. The six winners were awarded the Goldman Prize today at an invitation-only ceremony at the San Francisco Opera House. They will also be honored at a smaller ceremony on Wednesday at the Smithsonian’s National Museum of Natural History in Washington, DC. Richard Goldman, cofounder of the Goldman Environmental Prize with his wife Rhoda, passed away at the age of 90 in November 2010. To honor his memory, the 2011 Prize events will be dedicated to him. The Goldman Environmental Foundation views grassroots leaders as those involved in local efforts where positive change takes place through community or citizen participation in the issues affecting them. Through recognizing these individual leaders, the foundation seeks to inspire others to act for the protection of the natural world. Living under the constant threat of assassination, Francisco Pineda has led a citizens’ movement that stopped a gold and silver mine from destroying El Salvador’s fresh water resources. A farmer with a degree in sustainable agriculture, Pineda is the founder and president of the Environmental Committee of Cabañas, a community volunteer association. In the process of organizing his community against a waste dump that would have polluted local water supplies, he taught himself about water ecology and became an environmental leader in his region. Ninety percent of El Salvador’s surface water bodies are contaminated as nearly all municipal and industrial wastewater is discharged into rivers and creeks without treatment. The clean water that still flows in the Rio Lempa, El Salvador’s longest river, is essential to four million people. In 2002, Canadian mining giant Pacific Rim began to explore for a gold and silver mine in Cabañas. The government ignored local concern over the environmental consequences for the region’s forests and the Rio Lempa. That changed in 2004 when Pineda discovered that the creek supplying irrigation to his crops had stopped flowing and found Pacific Rim’s pumps siphoning the creek to its exploration area upstream. Pineda and his colleagues started a people’s movement that has grown to include 26 communities and more than 450 members. It has succeeded in halting the mine, but members have died in the attempt. In 2009, three of Pineda’s colleagues were assassinated, one while under police protection. A month later, a group of assassins targeted another member of the environmental committee, but when they did not find him at home they murdered his pregnant wife instead. 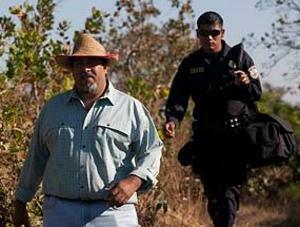 Another anti-mining activist was kidnapped and his tortured body was found in a well. Today, Pineda lives with 24-hour police protection. He has vowed to continue his struggle no matter the consequences. Due in part to Pineda’s leadership, the Salvadoran government has not granted Pacific Rim the necessary extraction permit for their mine and the company has reduced its active exploration area by half. Pacific Rim has initiated a $100 million lawsuit under the Central American Free Trade Agreement, CAFTA, claiming that El Salvador is in violation of the agreement for halting the company’s plans. The lawsuit calls into question the sovereignty of individual nations that are party to agreements like CAFTA and their rights to decide for themselves how to administer development projects. Pacific Rim is based in Canada, a country not included in CAFTA, but the company is suing El Salvador through an American subsidiary. The court date is not yet set, but the case is expected to proceed in 2011. In response to Germany’s expanded reliance on nuclear energy and the Chernobyl nuclear disaster, Ursula Sladek created her country’s first cooperatively-owned renewable power company. For Sladek, a mother of five from the small town of Schönau in Germany’s Black Forest region, the Chernobyl disaster was a wake-up call about the dangers of nuclear energy. 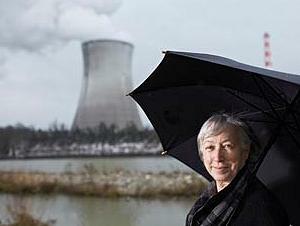 Sladek, her husband, and other parents researched ways to limit their dependence on nuclear power. They found that power companies did not allow citizens to influence energy production decisions. The group began what would become a 10 year project to take over the local grid, and in a second step, allow people all over Germany to choose safe, eliable, sustainably-produced energy. Sladek was transformed from a small-town parent into the founder and president of one of Europe’s first cooperatively-owned green energy companies. She raised 6 million deutschmarks (3 million euros) to purchase the local grid and formed Schönau Power Supply to operate as an energy provider. By 1997, Sladek’s company was in control of the Schönau grid. She took on the role of president and continues in that role today as the company provides power to more than 100,000 homes and businesses throughout Germany. Biologist Prigi Arisandi initiated a local movement to stop industrial pollution from flowing into a river that provides water to three million people. Surabaya, Indonesia’s second largest city, now is heavily industrialized, with manufacturing facilities and factories lining the banks of the 41 kilometer (25 mile) long Surabaya River. Arisandi grew up near the Surabaya River and remembers seeing it degrade when factories began operating in the region in the early 1980s. 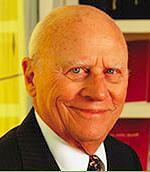 He founded Ecological Observation and Wetlands Conservation, or Ecoton, while still at university. 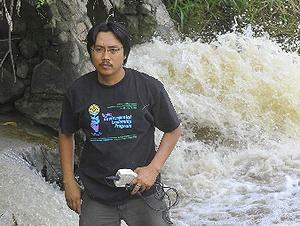 The organization set out to protect the water resources and wetlands ecosystems of Indonesia. In 2007, Arisandi and Ecoton sued East Java’s governor and the province’s environmental management agency for failing to control water pollution on the Surabaya River. In April 2008, the provincial court issued a precedent-setting ruling, ordering the governor to implement water-quality regulations targeted at industry operating along the Surabaya. It established a maximum daily limit for toxic releases into the river as well as a monitoring system to ensure compliance. The lawsuit was the first time in East Java that a governor has been taken to court to change government policy. Arisandi has entered into talks with industrial facilities operating on the river encouraging environmental responsibility. As a result, a Surabaya sugar factory has invested US$220,000 in a wastewater treatment plant and several others have installed pollution controls of their own. Arisandi created the first experiential environmental education program in the region through river tours that bring children and local residents closer to the river’s biodiversity and its pollution. Arisandi’s River Detection Program, now in more than 50 schools, teaches children how to monitor the river’s water quality and report their findings to the government. Dmitry Lisitsyn fought to protect Sakhalin Island’s endangered ecosystems while demanding safety measures from one of the world’s largest petroleum development projects. In the early 1990s, two major petroleum projects were begun in the offshore waters of Sakhalin Island: Sakhalin I, led by Exxon; and Sakhalin II, managed by Sakhalin Energy, a consortium consisting of Royal Dutch Shell, Mitsui, Mitsubishi and other oil companies. Seven other petroleum development projects are planned or underway in the area. Sakhalin Island waters are a critical feeding area for endangered Western Pacific gray whales and the Pacific Ocean’s most productive salmon spawning grounds, both at risk from development. Logging companies are extracting timber resources, and salmon poaching has increased exponentially. Lisitsyn grew up in a small Siberian village near the Angara River and moved to Sakhalin Island in 1989. British environmental leader Emma Wilson opened a door for him when she founded the nonprofit Sakhalin Environment Watch in 1996, and Lisitsyn joined as a volunteer. A year later, Wilson moved back to the UK and Lisitsyn began leading the organization. Forging relationships with indigenous villagers, fishermen, scientists, government officials and Sakhalin Energy industry leaders, Lisitsyn has negotiated stricter environmental regulations, cleanup of toxic sludge, the discontinuation of waste-dumping in the ocean and more rights and benefits for the island’s indigenous communities. 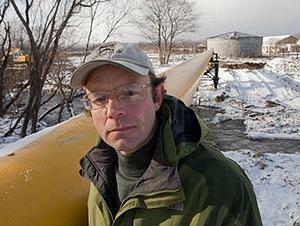 Based on information provided by Lisitsyn and his colleagues, the IUCN Western Pacific Gray Whale Advisory Panel successfully urged oil and gas companies to implement a moratorium on seismic testing activities in the summer of 2009 until the health of endangered whale populations could be determined. Seismic testing for 2010 took place early in the year, before the whales arrived. Lisitsyn got Shell to cancel plans to construct pipelines across gray whale feeding grounds. Lisitsyn campaigned to create the Vostochny Wildlife Refuge on Sakhalin Island, which has led to the protection of nearly 67,000 hectares of ancient forest, salmon spawning grounds and the adjacent marine area. 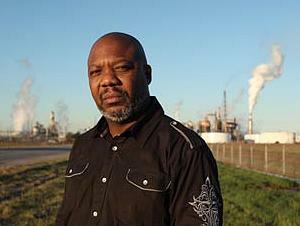 Hilton Kelley fights for low-income communities living in the shadow of polluting industries on the Texas Gulf Coast. Located among eight major petrochemical and hazardous waste facilities on the Texas Gulf Coast, the largely African-American West Side neighborhood of Port Arthur endures near constant emissions spewing from smokestacks ringing the community. The U.S. Environmental Protection Agency says Port Arthur has some of the highest levels of toxic air releases in the country, and the companies operating the local plants have been cited with hundreds of state air pollution violations. The West Side’s asthma and cancer rates are among the highest in the state, while the community’s income levels are among the lowest. Hilton Kelley was born and raised on the West Side of Port Arthur and grew up in the Carver Terrace public housing project on the fence line of the Motiva refinery. When Motiva announced in 2006 that it would expand its Port Arthur facility into the largest petrochemical refinery in the country, Kelley got to work. As a result of his community outreach campaign and advocacy, Motiva installed state-of-the-art equipment to reduce emissions. Kelley negotiated a now-famous “good neighbor” agreement with Motiva that provided health coverage for the residents of the West Side for three years and established a $3.5 million fund to help entrepreneurs launch new businesses in the community. He led a campaign beginning in 2006 that prevented Veolia Corporation from importing more than 20,000 tons of toxic polychlorinated biphenyls, PCBs, from Mexico for incineration at its Port Arthur plant. Kelley continues to advocate for stricter environmental regulations on the Texas Gulf Coast and serves on the EPA’s National Environmental Justice Advisory Council. Due to his leadership, Port Arthur has been selected as an EPA national showcase city, bringing new attention and funding to the community. 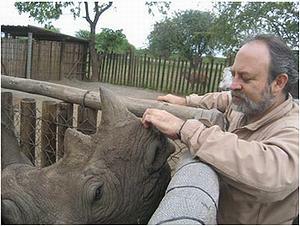 Raoul du Toit coordinated conservation initiatives that helped develop and maintain the largest remaining black rhino populations in Zimbabwe. Rhinos have become extinct in 13 African countries in the past 30 years, but rhinos survive in healthy numbers in southeastern Zimbabwe, largely due to the bravery and commitment of du Toit and the Lowveld Rhino Trust. He and his team of Zimbabwean rhino monitors, land managers, owners, veterinarians, and community members have successfully protected more than 340 black rhinos and 175 white rhinos on private conservancies in Zimbabwe’s southeastern lowveld. Overall, the team currently takes care of 77 percent of the country’s rhinos. In 2008 and 2009, Zimbabwe suffered the highest levels of rhino poaching recorded since the late 1980s, with 192 rhinos illegally killed for their horns. At this rate, rhinos would have been driven to extinction within a decade. However, the Zimbabwe government and du Toit got ahead of the poachers by moving rhinos from hazardous areas onto more secure areas offering a strong local commitment to protect rhinos from outsiders. Simultaneously, law enforcement authorities in the United States, South Africa, and Zimbabwe shared their evidence concerning an illegal poaching syndicate operating out of South Africa. In September 2010, South African authorities arrested nine veterinarians, professional hunters, and businessmen implicated in a rhino poaching syndicate that may have coordinated more than 100 of the recent rhino killings. “We are thrilled that Raoul and his team are getting the recognition they deserve. With the incredible poaching pressure Africa is currently facing, protecting rhinos is a difficult and dangerous job, and the Lowveld Rhino Trust has done a remarkable job in simultaneously saving rhinos and building a wildlife-based economy for the area in spite of tremendous obstacles,” said Dr. Michelle Gadd, African Rhino and African Elephant program coordinator for the U.S. Fish and Wildlife Service. Du Toit has been a partner of the Service since 2002, receiving grants from the Rhino Tiger Conservation Fund. The Goldman Environmental Prize was established in 1990 by late San Francisco civic leaders and philanthropists Richard and Rhoda Goldman. It has been awarded to 145 people from 80 countries. Prize winners are selected by an international jury from confidential nominations submitted by a worldwide network of environmental organizations and individuals. Previous Prize winners have been at the center of some of the world’s most pressing environmental challenges, including seeking justice for victims of environmental disasters at Love Canal, New York, and Bhopal, India; leading the fight for dolphin-safe tuna and fighting oil drilling in the Arctic National Wildlife Refuge. Since receiving a Goldman Prize, eight winners have been appointed or elected to national office in their countries, including several who became ministers of the environment. The 1991 Goldman Prize winner for Africa, Wangari Maathai, won the 2004 Nobel Peace Prize and served as deputy environment minister in the government of Kenya.